Open Source Software has come a long way in the last decade. It has gone from being bleeding edge to becoming mainstream. Every aspect of computing, from the operating system to web applications, has examples of open source software. Today is Document Freedom Day. It is a day marked around the world for document liberation. It also highlights the importance of using open standards and open data formats for document interchange between everyone who has information to share - between people, schools, businesses and governments. The OSI board elections were held earlier this month and the board voted in a new slate of directors starting April 1st, 2010. I would like to welcome our three new board members - Dr. Tony Wasserman of Carnegie Mellon University, Silicon Valley campus, Dr. Fabio Kon of University of São Paulo, Brazil and Mr. Simon Phipps, an Open Source expert and prolific blogger. Professors' Open Source Summer Experience (POSSE), a training bootcamp targeted for faculty members of technical universities in Asia is being organized from November 9-13, 2009 at Nanyang Polytechnic in Singapore. Faculty members from Singapore, Malaysia, China, India are expected to participate. Transparency is key in enabling people to participate in the creation of wealth and well-being in society. 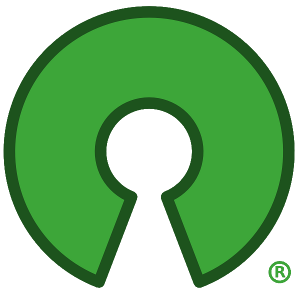 In the past decade, free and open source software (FOSS) has become one of the major catalysts in increasing transparency by lowering the barrier to access the best software technologies. Software Freedom Day (SFD) celebrates this important role of FOSS in making this change happen globally.